Welcome to the Bortkiewicz website! 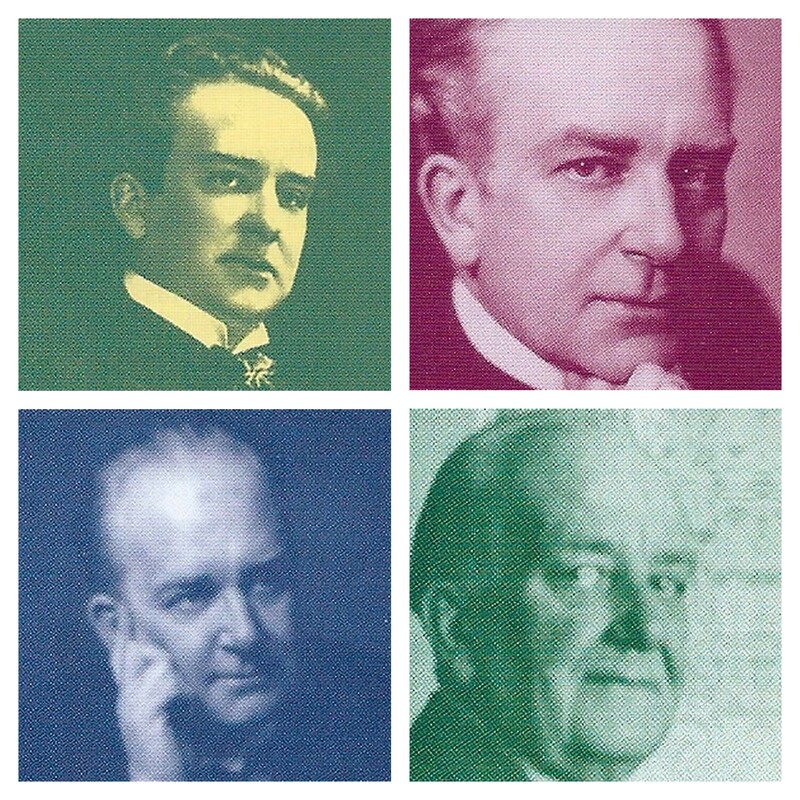 Here you find information about the life and works of the Russian-Austrian composer, pianist and conductor professor Sergei Bortkiewicz (Сергей Борткевич) (1877-1952), whom a kind destiny gave all the gifts to be happy and make others happy: a wonderful musical talent, which enabled him to pour out freely a flood of the most beautiful melodies up to old age, and an extraordinary pianistic talent, which brought him great triumphs during his concert tours which he undertook in his early years. However an unkind fate did not let him rejoice in these unusual talents and heaped many a misfortune on him in the second half of his life. Sergei Bortkiewicz was an important outstanding personality both as a musician and as a person. This expressed itself, according to contemporaries, in his entire outward appearance, in his proud upright attitude and his always evident dignified earnestness, which he at times softened with a friendly smile, but hardly ever with a merry laugh. A gentle melancholy also formed a basic feature of his character, which also echoed in his music and gave it a special charm. 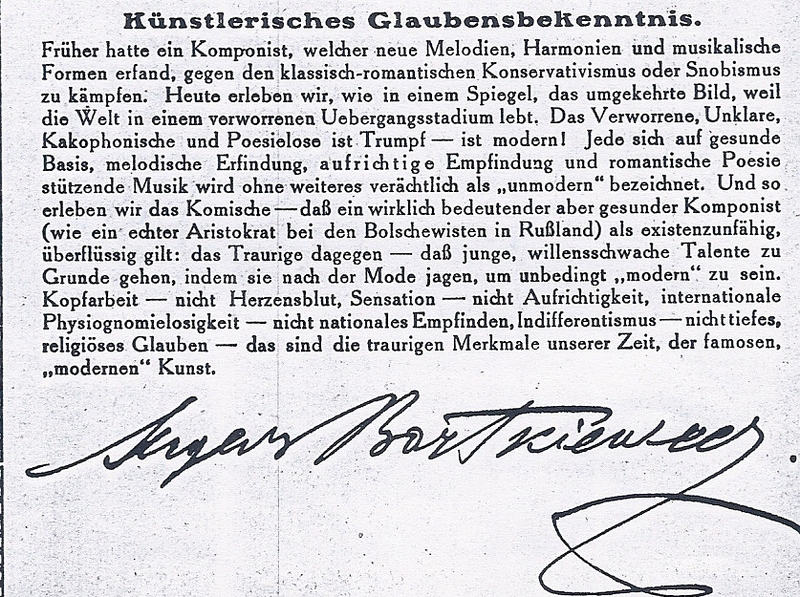 Bortkiewicz described himself as a romantic and a melodist, and he had an emphatic aversion of what he called modern, atonal and cacophonous music. Bortkiewicz’s built his musical style on the structures and sounds of Chopin and Liszt, with the unmistakeable influences of Tchaikovsky, Rachmaninov, early Scriabin and Blumenfeld. Like Medtner, the essential characteristics of his style were already present in his earliest compositions, from around 1906, although his compositions from around 1925 became more and more personal and nostalgic. Melody, harmony and structure were essential building blocks for his musical creations. His training with Van Ark, Liadov, Jadassohn, Piutti and Reisenauer ingrained a rigorous professionalism. His colourful and delicate imagination, his idiomatic pianowriting and sensitivity to his musical ideas, combined with his undisputed gift for melody, result in a style that is instantly recognizable, attractive and appealing to many listeners. Thanks to Hugo van Dalen, his close friend, we can still enjoy Bortkiewicz’s music and learn about his life from the many letters he sent to the Dutch pianist. When van Dalen died in 1967 his family bequeathed the manuscripts of several compositions, a written autobiography Erinnerungen, plus a number of letters and printed scores to the Gemeentemuseum in The Hague, a collection which was transferred later to the Nederlands Muziek Instituut in The Hague. Musicians from all over the world are rediscovering Bortkiewicz’ music. Bortkiewicz’s music is also played in Ukraine by the Chernihiv Symphony Orchestra under the direction of conductor Mykola Sukach. Beside Mykola Sukach, Ukrainian musicians Temur Yakobov and Yevhen Levkulych tirelessly work to rekindle interest in the composer and seek wherever possible to protome Bortkiewicz’ music. In recent years pianists like Stephen Coombs, Klaas Trapman, Jouni Somero, Stefan Doniga, Anna Reznik (Анна Резник), Nadejda Vlaeva, Alfonso Soldano and Chihiro Ishioka have contributed to the rehabilitation of the music of Bortkiewicz. However, Bortkiewicz still is an enigmatic person. Despite the available information, we don’t know much about his life and a lot of his unprinted works (such as his opera Akrobaten, opus 50, his pianotrio opus 38 and his Six préludes for piano opus 66) are still missing. If you have any information about the life, the music or the missing scores of Bortkiewicz please let me know.